With the advent of November and NaNoWriMo, naming files and version control becomes an issue, especially for new and beginning writers. For every new document you create, I recommend that BEFORE you do any work whatsoever, you give the file a working name and save it to whatever folder you normally work out of. Do it while the page or spreadsheet is still blank, before you write the first line. Most people never had more than a few personal files to manage. For this reason, they have no concept of how easily something that should have been simple can veer out of control. This is where a good system of version control comes in handy. The worst thing that can happen is when you accidentally save an old file over the top of your new file or delete the file entirely. It is vitally important for writers to save their work regularly. I don’t like thumb-drives because they’re easily lost, so I use a file hosting service called Dropbox. I have a lot of images on file, so I pay for an expanded version, but they do have a free version that offers you as much storage as a thumb drive. I like using a file hosting service because it can’t be lost or misplaced and is always accessible. I work out of those files, so they are automatically saved and are where I want them when I close out. But you can use a standard portable USB flash drive. What I want to discuss today is naming your files, so they are consistent and easy to identify. A consistent system for naming your files eliminates accidents when it comes to saving your manuscript and subsidiary research files. My work is all saved in a folder labeled Writing. Inside the master folder are many subfolders, one for each book, and one for essays and short stories. A more recent version of that manuscript is named Bleakbourne_V2_cjjasp. By clearly denoting which version it is in the file name, I should have no disasters. In older Operating Systems the underscore was used instead of a space because the OS could not process filenames with spaces. Many publishers, editors, and agents want the files you send them to be named in this way, so it’s a good habit to get into. When I first began working in an office that had upgraded to computers in the early 1990s, we had a rule for naming files: use no spaces, use an underscore where the spaces would go. There was a good reason for this. When transferring files between different operating systems with different file naming conventions, the underscore prevents using what may be an illegal character in another OS. So, if an office had to send files to an outside agency, the two users could open the files in their respective programs. What are the different Operating Systems currently in use that your work may come across? Some operating systems are more business oriented, but if you send files to a variety of publishers, your work could end up on a machine with a different OS than yours. Usually it will be a PC (Windows) or a Mac, as those two operating systems are most common. Using a Mac or PC is a personal preference. 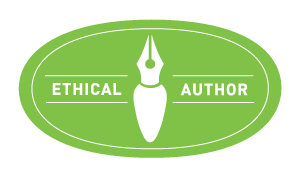 When purchasing gear, employers usually cater to the wishes of those who will use the machine, so the offices of publishers and editors will usually have both. For this reason, we have some rules to obey regarding certain characters when we are naming files. Any character you can type with the Ctrl key. Most Alt Codes are also not permissible. In addition to the above illegal characters, the caret ^ may also not be permitted in some Windows operating systems, those using the older FAT (File Allocation Table) system. These characters make files that can’t be opened on some operating systems, so even if your operating system allows these symbols, it is best to not use them. One thing I learned the hard way is to be mindful of something called “Version Control.” Anyone who writes using both a laptop and a desktop machine will understand why this is still an issue, even when we save to Google Drive, OneDrive, Dropbox, or any cloud-based storage service. The scenario: you went to the coffee shop to write, and suddenly realized you were running late for an appointment. You saved your file but forgot to close out, simply shutting your laptop and going home, forgetting your word processing program was still open. That evening you go to the PC (or Mac) in your regular writing space, open your file, and continue writing. According to Dropbox’s website, there are three ways you can end up with conflicted files if you are using cloud storage. Note: The last version saved will always appear as the conflicted copy, with the user’s name, such as File_Name_Connie’s_conflicted_copy. So, now we know why we who use cloud storage sometimes end up with conflicted files. But how do we consistently and professionally name our files so that we don’t inadvertently save over work we want to keep, but aren’t currently using? First of all, if you are trying to “save as” and a dialog box pops up warning you a file already exists with that name, you should click on cancel and rename your new file, or you will lose the one you just saved over. Before your novel is published, you may create several versions of your manuscript. I advise you manage your versions with meticulous care. Nothing hurts like losing files you have worked on for months. Even having to rewrite a section you just wrote is aggravating. Name your files promptly and save often—two things that will save you a lot of heartache when you are deep into writing your novel. Dropbox Help Center, What’s a Conflicted Copy, https://www.dropbox.com/help/syncing-uploads/conflicted-copy accessed 30 October 2018. Open File Cabinet 2 Clip Art, PD, via Clker.co, Free Clip Art. http://www.clker.com/clipart-open-file-cabinet.html accessed 30 October 2018. Wow. Another immensely helpful piece. As a slo-tech senior, this explained several things that were jumbled in my brain. 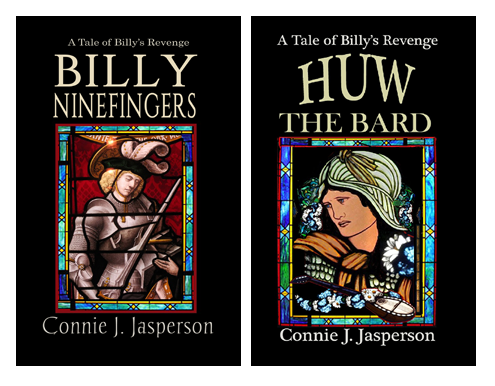 Life in the Realm of Fantasy · The writerly musings of Connie J. Jasperson, author, blogger and medieval renaissance woman.